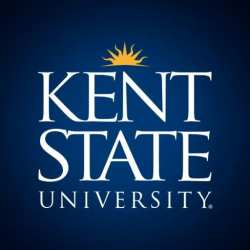 The Department of Psychological Sciences at Kent State University seeks to hire a tenure-track behavioral neuroscientist at the Assistant or Associate level. Preference will be given to individuals who conduct systems/circuit-level neuroscience research with a behavioral component that will complement current areas of research in learning and memory, fear, stress, neuropharmacology or behavioral neuroendocrinology. Successful candidates should have an exemplary record of research productivity, including a history of seeking and obtaining external research support and publications reporting original research, potential for effective teaching, and a commitment to mentoring graduate and undergraduate students. Our faculty are highly productive scholars who collaborate extensively. The department offers outstanding research support and highly ranked doctoral programs in a collegial atmosphere. A rich collaborative environment is supported by research partnerships throughout Northeast Ohio, outstanding research facilities, and the newly established KSU Brain Health Research Institute. Further information about the department is available on the website https://www.kent.edu/psychology. Kent State University has a highly collaborative and growing neuroscience community that spans several departments and Northeast Ohio Medical University (NEOMED). Review of applications will begin immediately and remain open until the position is filled. However, priority will be given to applications received by October 1, 2017. Send application materials, including statements of research and teaching interests, curriculum vitae, copies of publications and other supporting materials, and three letters of recommendation by e-mail to psysearch@kent.edu. Kent State University is an Affirmative Action/Equal Opportunity Employer and strongly encourages applications from candidates who would enhance the diversity of the University’s faculty.